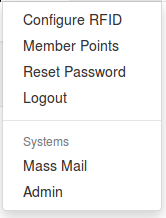 The Individual settings will cause the email to show as an option for any individual person in the Member Management module. It will be a dropdown option on the Send Email link. 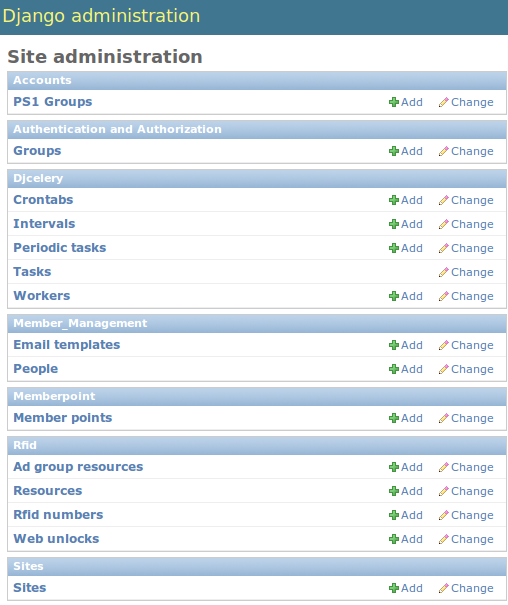 To access the Django Administration Site to remove duplicate members you must be a member of the Domain Admins group. First, be sure you set the member account you want to delete to Discontinued as to easily differentiate which account we will want to remove. Log in (as a Domain Admin), click the drop down menu under your username, and select "Systems > Admin"
From the "Site Administration" Page, select "Member_Management > People"
Enter the duplicate member in the search box on the "Select person to change" page. Once you've found the duplicate member, ensure that you have pulled up the correct member, and that they are Discontinued. Scroll to the bottom of the duplicate person's page, and select "Delete" from the lower left hand corner, and confirm the action. This page was last edited on 14 March 2017, at 09:57.